Home Insights Is There Life after Life Tech for Greg Lucier? Is There Life after Life Tech for Greg Lucier? Will the entrepreneur channel his passion for government service into a political run? In a single decade, Greg Lucier, 49, transformed a small reagent company, Invitrogen, with 1,500 employees into Life Technologies, an international behemoth with more than 12,000 employees, 5,000 patents, 50,000 products, and sales in 180 different countries. 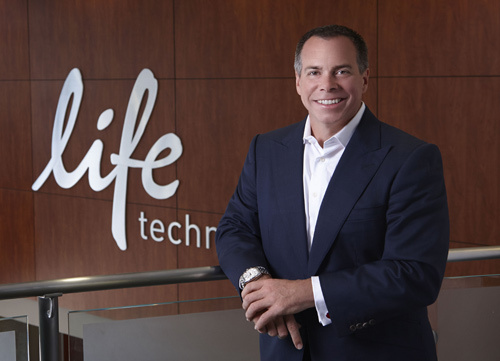 Although Thermo Fisher completed the acquisition of Life Technologies in February, and although Lucier has moved on, an intriguing question remains: What did Lucier to do help enable Life Technologies’ startling growth? And a possibly even more intriguing question: What’s next for this visionary entrepreneur? He also sees a pervasive impact on the economy. “In the next 20 years, the life sciences, with their integral connection to virtually all economic activity, will be the one of the largest employers.” He goes on to mention that many of Life Technologies’ 12,000 jobs didn’t even exist a decade ago. Even better, he wanted the company to be “one-stop shopping” for these scientific devices. This was at the heart of Life Technologies aggressive strategy around mergers, acquisitions, patents, and, above all, hiring. “Our ability to grow year after year was driven by our ability to attract, develop and retain the world-class people who would thrive in our environment and share in our desire to improve mankind by enabling our customers to feed, fuel, and heal the world,” Lucier says. What are Lucier’s goals for the future? His third focus would be on making sure that the incentives and disincentives coming from government would actually help the most disadvantaged. Gregory Lucier’s last ten years were spent implementing Life Technologies’ mission statement: Shaping discovery. Improving life. If he goes into public service, it’s a good bet that his personal mission statement will focus on “Improving life”—for everyone. Mitzi Perdue, GEN’s corresponding editor, holds degrees from Harvard and George Washington University. She has authored more than 1,600 newspaper and magazine articles on science R&D and clinical medical applications, as well as on food, agriculture, and the environment. Perdue has a strong understanding of complex scientific and mathematical concepts. For 22 years, she was a syndicated columnist for the Scripps Howard News Service and before that, California’s Capitol News. Perdue is also the author of the newsletter from the professional association, Academy of Women’s Health. She has produced and hosted more than 400 interview shows, often in conjunction with scientists at the University of California at Davis. She is a former Commissioner for the U.S. National Commission on Libraries and Information Science and a former Trustee for the National Health Museum.